On a recent trip to Malaysia I caught up with my old work colleagues Jason Winter and Ted Parslow of Parlow Winter Golf Design. I had worked with Jason and Ted in Malaysia from 1996 to 1998 for then called E & G Parslow and enjoyed every minute of it. 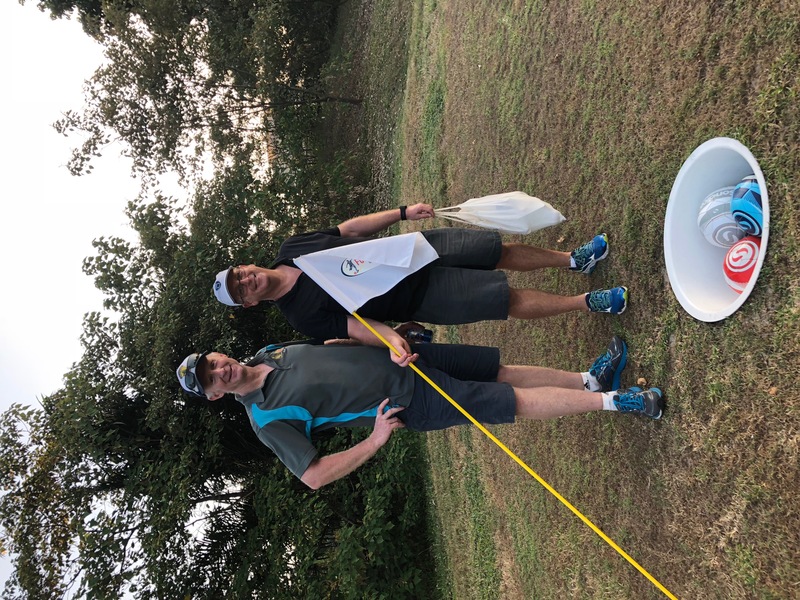 Despite leaving Malaysia more than 20 years ago we have still remained close friends and always catch up for a game of golf in Malaysia or in the UK. Jason letting one rip around the lake. Great strategy of how much of the lake to cut off. 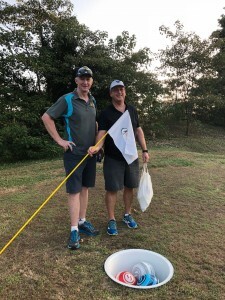 In August I played a game of Footgolf with Jason at his newly opened Footgolf facility in the outskirts of Kuala Lumpur. 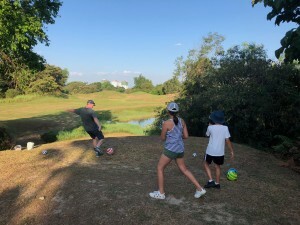 The site for this first Footgolf facility in Malaysia is an old par 3 course which Jason and the team have transformed it into a really enjoyable footgolf course. The bunkers have been removed and the green mown a little longer. What I loved about the Footgolf course is that there is still a lot of strategy and risk/ reward options with the holes. 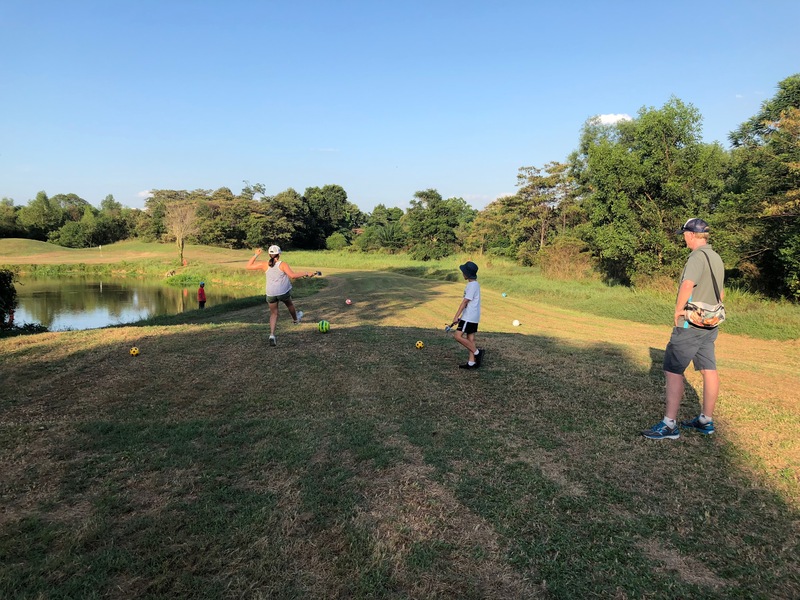 I said to Jason that his Footgolf course is amazing because not only is it beautiful but it also requires thought on how to play the holes – not just to kick the ball as far as you can. Another cracking hole with a lake on the left. The kids played off the forward yellow tees which was super. Also it is just so much fun for the family as demonstrated by my daughter – who doesn’t particularly like golf or football and enjoyed her round immensely. Get in the hole ball. I wish Jason and the team the very best with the first Malaysian Footgolf Facility. It truly is great fun for all.